The program opened with Mozart’s 38th symphony, nicknamed “The Prague” after its 1787 premiere in that Czech city. One of the composer’s last four symphonies, its three-movement structure replaces the traditional minuet with an expansive Adagio introduction to the opening Allegro movement. A reduced-size HSO gave the piece a warm, affectionate reading. Next came Tchaikovsky’s rarely heard fourth suite for orchestra, known as “Mozartiana” because its four movements are his arrangements of Mozart originals. The standout movements are the third, a ravishing setting of the motet “Ave Verum Corpus,” and the brilliant closing set of variations that Mozart improvised on a Gluck aria. The performance by the full HSO was lively and dramatic. After intermission, HSO concertmaster Leonid Sigal delivered a touching spoken tribute to his longtime predecessor in that role, Bernard Lurie, who had died a week earlier. Sigal then played the violin solo in a moving account by the orchestra of the lovely “Meditation” from Massenet’s opera “Thais” in Lurie’s memory. More Mozart followed with a smaller HSO, his 1774 concerto for bassoon and orchestra, written in his early maturity at age 18. 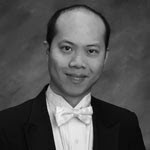 HSO principal bassoonist Yeh-Chi Wang was a treat to watch as he made his quirky but distinctive instrument sing, capturing the surprisingly wide range of moods in the concerto’s three short movements with unfailing grace, precision, and beauty. Almost half the HSO players were then replaced by teenage members of the Connecticut Youth Orchestra from the Hartt School in the five-movement first suite that Bizet derived from his 1873 incidental music to Daudet’s play “L’Arlesienne.” Some of the young musicians even sat in for first chair HSO members, and the spirited but cohesive reading of this colorful score by the combined forces closed the concert on a festive note.